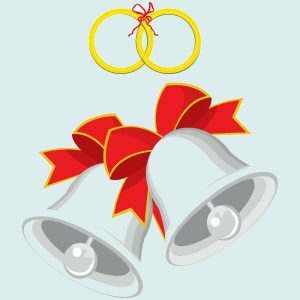 Bridal chit-chat (28): what if you don’t get paid? The set of bridal stories posted last week seems to have gone down well. Thanks to those who have emailed. Comments are welcome, too. I seem to get more emails than comments, but it’s always nice to hear from people. To kick off the 2019 wedding stories, here’s another little bridal post, partly taken from the past. What if you don’t get paid? Sometimes the worst happens, and after all your efforts, you end up standing alone outside the church, surrounded by confetti and empty-handed. Bridal car has gone, bridesmaids and ushers have gone. Bus full of wedding guests is disappearing round the corner. Only the priest remains, and when you seek him out you find he hasn’t been given an envelope for you. Sometimes he hasn’t even been given one for the church. Well, they can’t be allowed to get away with it. In this era of text and email, chasing them is easier than it was in the old days when often all you could get was an answering machine. I wait a fortnight for them to come back from honeymoon, then pounce. Usually it transpires that the best man had all the envelopes and forgot about them, or they were left in someone’s sporran and only found by the kilt-hire shop the following week. To do most couples justice, cheque and apology usually come pretty quickly, and I thank them kindly. Only once was I let down completely over a wedding fee, and in that case it turned out that the middle-aged couple involved had also left church fees unpaid, entire reception bill unpaid, and skipped off abroad on honeymoon. They never came back. Comments Off on Bridal chit-chat (28): what if you don’t get paid?